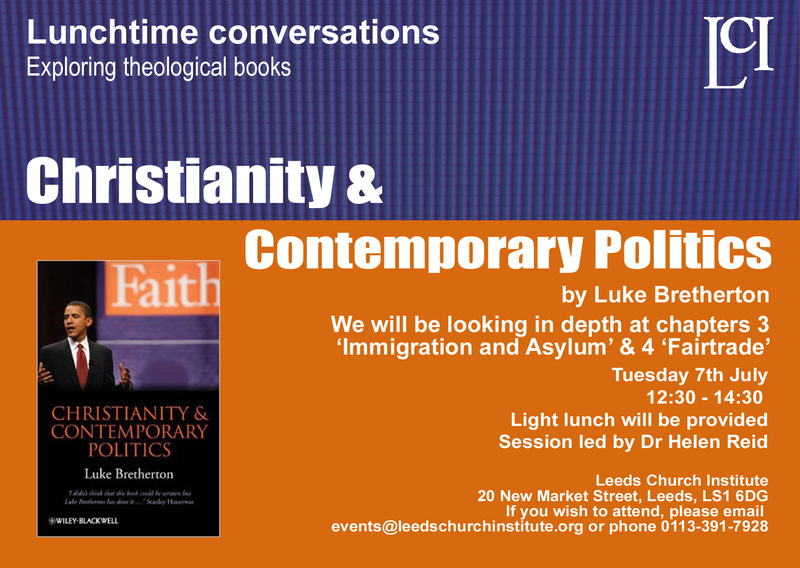 Tuesday 7th July12.30-2.30 at LCI, 20 New Market Street, LS1 6DG Christianity & Contemporary Politics by Luke Bretherton. We will be looking in depth at chapters 3 ‘Immigration and Asylum’ and chapter 4 ‘Fairtrade’ . Session led by Dr Helen Reid. A light lunch will be provided. Please email events@leedschurchinstitute.org or phone 0113 391 7928 if you wish to attend.